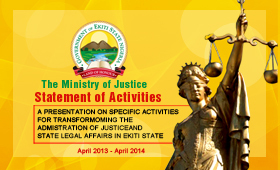 The Department of Civil Litigation is one of the core Departments in the Ministry of Justice, Ekiti State. The Department is seen as the nucleus of the State government operations because of the sensitive and volatile issues it handles. 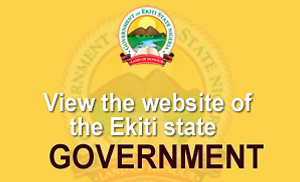 The Department is saddled with the responsibility of handling civil matters (Chieftaincy, contract, employment, land matters and other sundry issues) in the State. 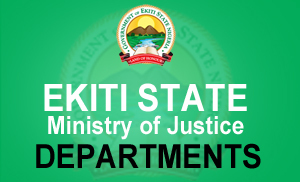 In the performance of its functions, the Department renders legal advice and provides legal representation to Government Ministries, Departments, Agencies, and Parastatal in the various courts in and outside the State.